Judge Lia Savonea, seen as being close to the Social-Democratic Party, has been validated on Wednesday by the plenum of the Superior Council of Magistracy for the office of CSM chairperson. Savonea was the only candidate for this position. Prosecutor Nicolae-Andrei Solomon was validated for the position of CSM deputy chairman for 2019. The Superior Council of Magistracy has elected its new leadership for 2019 on Wednesday, and President Klaus Iohannis has also attended the sitting. Lia Savonea said on Wednesday in the CSM Judges Section sitting that she has five important objectives: the protection and independence of justice, the way justice works, the solving of problems faced by the judiciary, leadership and communication issues. She said the ones in charge with the judiciary should become landmarks and justice cannot be accomplished with theoretical models. 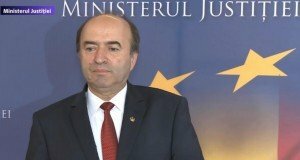 “I wish a council regarded by the prosecutors and judges as a partner, however they should assume the way justice works. I believe justice needs imposing characters. Justice does not need to be ostentatious. The top people in the judiciary should be landmarks. Are they today?” Savonea asked. Lia Savonea claims intentional law violations take place, which is very serious, and that the judiciary is facing a confidence crisis due to abuses and errors. Judge Lia Savonea is CSM member and ran for the top office in 2016. In November this year, she requested the commencement of the revocation procedure on the High Court Chair, Cristina Tarcea, following the decision made by the Constitutional Court regarding the 5-judge panels with the Supreme Court. 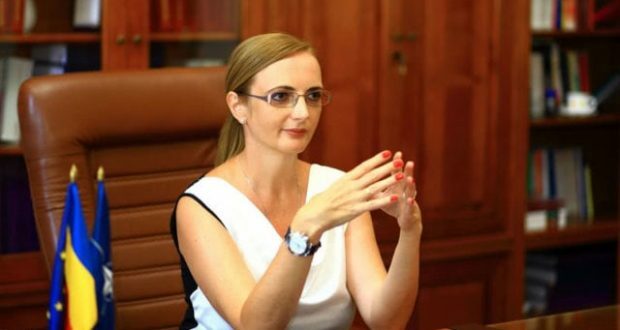 Lia Savonea is the wife of lawyer Mihai Savonea, former colleague with Cezar Bivolaru, Marian Vangelie’s attorney, and with Catalin Voicu, the PSD Senator sentenced for corruption in two files. Lia Savonea has been chairperson of the Bucharest Court of Appeals. She started the activity with the District 6 Court in 1996. She managed the court from 2001 to 2003, when she was relocated to the Bucharest Court, 1st Criminal Section. Since 2003 she is magistrate with the Bucharest Court of Appeals. 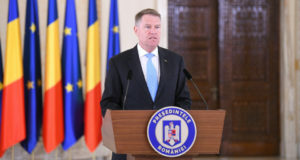 President Klaus Iohannis , who attended the CSM sitting for 43 minutes, said that 2018 has been a difficult year, as it has been marked by the justice law amendments. “I would like to see my presence here like an institutional encouragement. It has been a very difficult year and I congratulate you all for the balance that you have proved. 2018 has been marked by amendments of the criminal and justice legislation. It has been a difficult year with many crossroads for Romania. Implementation of these laws in compliance with the European provisions is mandatory and we’ll get there. Although we have been amid a complicated context, CSM has always been a balance factor for the involved actors. 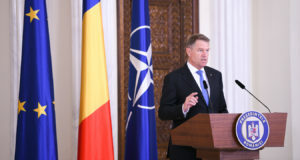 Please, continue to be connected to the inner voice of the system that is calling for defending the independence of the magistrates“, the Romanian President said. In his view, Supreme Council of Magistrates (CSM) should become a dialogue partner for Parliament in the law-making process. “CSM should become a genuine dialogue partner for Parliament,” Iohannis said. Iohannis assured magistrates of his full support. “The seclusion and split of the magistrate corps don’t lead to anything constructive (…) In 2018, Romanians have stood by you in defending the justice independence and you will definitely keep having an ally in every citizen who wants a better future. CSM must act against attacks targeting magistrates, no matter where they are coming from. I will do my best that Romania should not return in time and I assure you of my unconditioned support to guarantee the independence of justice“, President Iohannis pointed out.